Home Board index Photos & Multimedia Spotted! No not Dalmations, pictures of ACVW's you spotted! My friend Carl just bought this beauty. 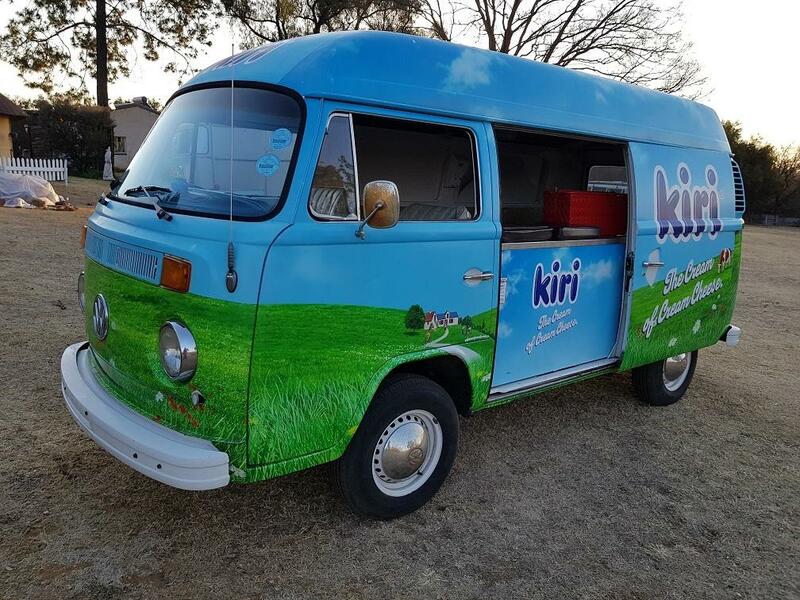 It's a conversion of a 1979 kombi, with the windows replaced by closed panels and a steel high roof adapted from an unknown Japanese minibus. 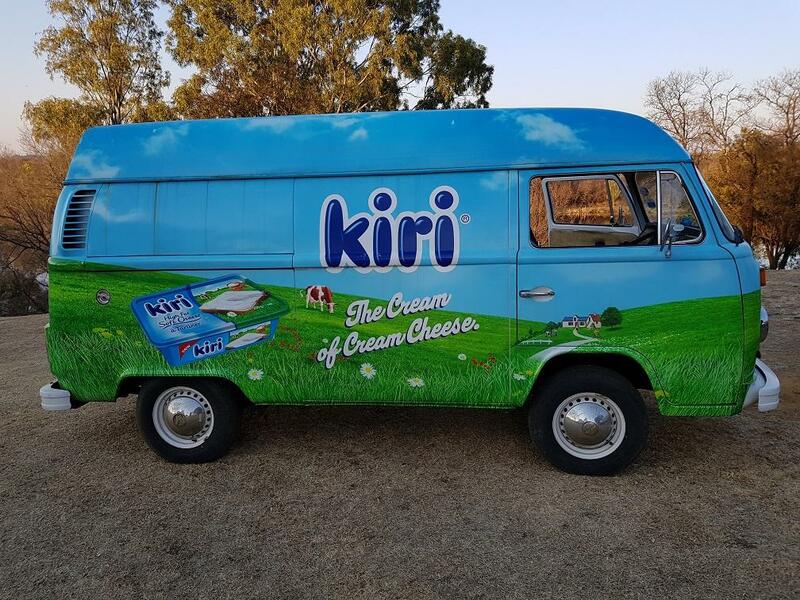 The Kiri cheese branding is a vinyl wrap. Nice conversion. The roaming cheese maker looks great.Is it cheaper to wrap a car than getting it done by a sign writer or is that now a dying trade. Is it cheaper to wrap a car than getting it done by a sign writer or is that now a dying trade. I don't know what a full wrap costs, but all signage these days is digitally printed. I'd like to know what the long-term effect of a wrap is on a car's paintwork; it seems quite popular these days to wrap cars instead of doing custom paint jobs. I think most of the matte black cars you see are wrapped, and I even saw a Mercedes SLS with a grey/white camo wrap, and I've also seen several AMG G63s with wraps. I would say signwriting is a dead trade, though there are still one or two old school signwriters out there, but none of them does it for a living any more that I know of. Cheaper then a full spray job, can cover rust in seconds, Land up with a lot of Stanly knife cuts all over the body for rust to start, quick to do, and very detailed as you can get anything you can design by computer printed. It hell to get off, and body shops hate it as the body must be fully cleaned to be able to paint again. I shy away from anything wrapped, except if its a true rat-rod wrapped to make it look old and rusted so others will not steal it. It really depends on what vinyl is used. A controltac like IJ180 or 1080 by 3m or a cast vehicle wrapping vinyl by Avery is very easy to remove without damaging the paint. 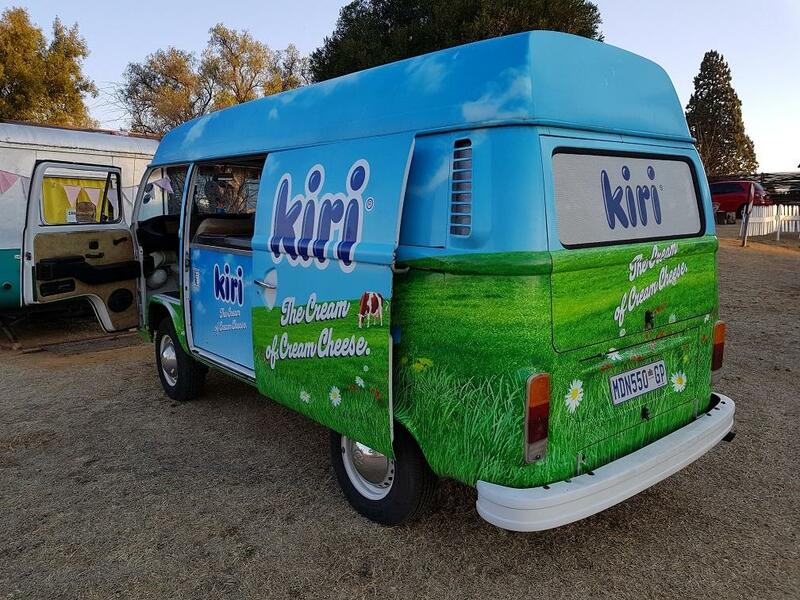 The problem is that most people use cheap calendared vinyl that is a pita to get off and if they are quoting around R10k for a full wrap you know they are using cheap crap. It's a case of right vinyl for the application. Most sign companies use the wrong stuff which leaves adhesive behind or the vinyl breaks up into small pieces when you try and remove it. There is also a right and wrong way to remove vinyl. And there is a right and wrong way to apply vinyl. Anyone leaving Stanley knife cuts behind has no idea what they are doing. 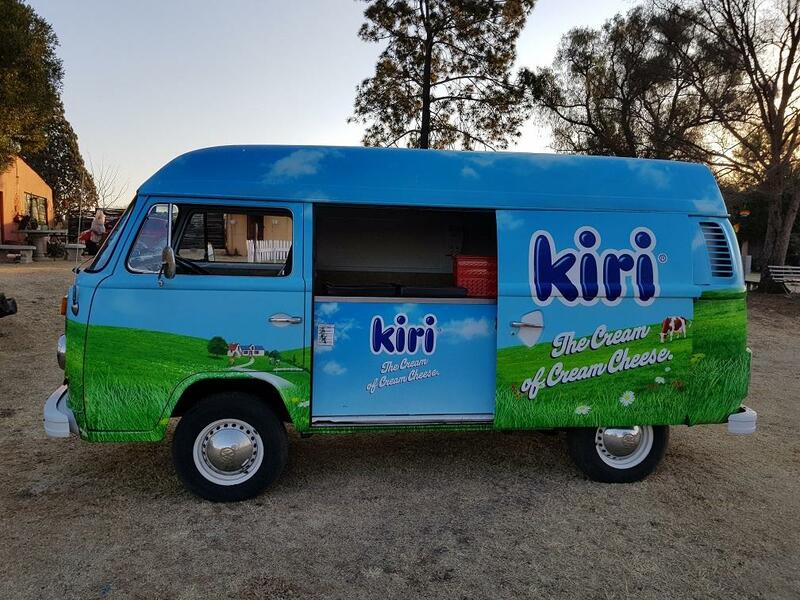 I saw Carl's Kombi at vaalplasie while there. Great condition and a very neat conversion. comments where targeted at using of wrap, for the wrong reasons. No not at all retrovan. I used to write specifications for corporates for signage and vehicle wraps. I also used to give training on applications and supply signage materials and digital printing media. Spent 8 years in the business. My comments above are about wraps and the vinyl used. 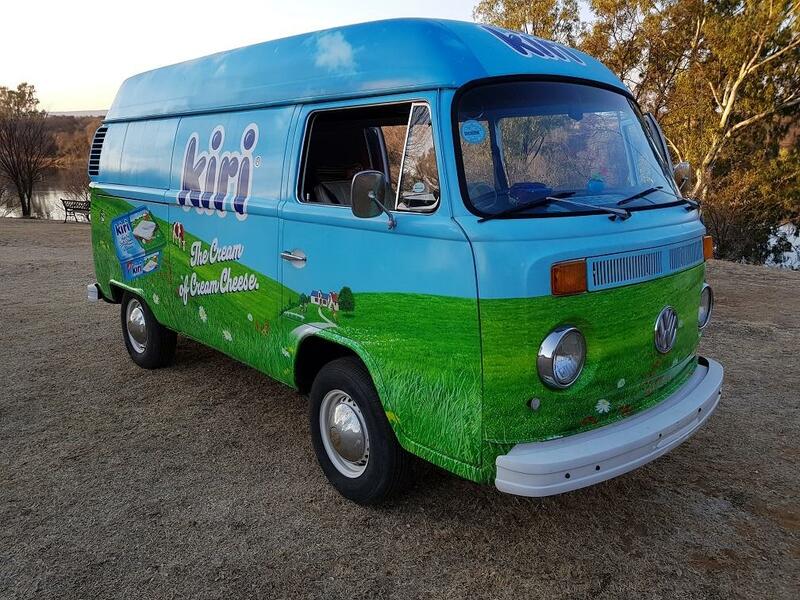 I have no idea what vinyl was used on Carl's Kombi but was merely answering some of the questions above.